If you have experienced a trip and fall accident, you can turn to this Fort Lauderdale Uneven Pavement Accident Lawyer for help. Accidents occur due to uneven pavements all of the time. Many of these accidents occur on sidewalks or other walkways. 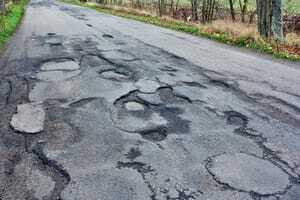 Uneven pavement may include ridges, cracks, holes or crevices. All of these things can cause a person to trip and fall and potentially sustain injuries. One of the main things to determine when you are hurt due to an uneven pavement is the ownership of the area where the uneven pavement existed. Such property may be government owned (as in the case of a public sidewalk) or it may be owned by a private company (as in the case of a walkway at a private business establishment). If you’ve been injured on an uneven pavement anywhere in Florida (including West Palm Beach, Palm Beach County, Miami and Miami-Dade County), call Mr. Quackenbush at 954-448-7288. You can receive compensation with the aid of this Florida Uneven Pavement Law Firm. Mr. Quackenbush will talk about your case at no charge. If the area was government-owned, then your case will be one of “sovereign immunity.” For example, if the uneven pavement that caused you to trip & fall was on a public sidewalk, the sidewalk will probably be owned by the City or Town where you live, the County or the State. In that case, you case will be against the governmental entity that owns the sidewalk. Any case against a governmental entity is referred to as a case of sovereign immunity. There are several restrictions and limitations that go along with a sovereign immunity case. These include notice requirements (i.e., you must give the governmental entity a certain amount of notice before filing a lawsuit). Additionally, there are limitations in how much money/compensation you can recover from a governmental entity. Typically, the most you can recover is $200,000. The exception to this is if a “claims bill” is passed in the State Legislature in Tallahassee allowing you to recover more than $200,000. Sometimes, settlements of lawsuits against a governmental entity (for example, the County) must be approved by the governing board of the governmental entity (for instance, the County Commission). If you’ve been hurt due to uneven pavement, one of the challenges will be to prove that the owner of the property had notice of (i.e., knew about) the uneven pavement. After all, if the owner didn’t know of, and had no reason to know of, the uneven pavement – then there would be no way it could be responsible. You can prove that the owner is liable by showing either that the owner had 1) actual notice or 2) constructive notice of the uneven pavement. Actual notice would mean that the owner actually knew of the uneven pavement. You can prove actual notice through testimony, correspondence, etc. Constructive notice of the uneven pavement means that the owner should have known of the uneven pavement. You can prove this by showing that the uneven pavement had existed for a long period of time. For example, if grass is growing in a crack in the sidewalk, that would be evidence that the crack existed for a long period of time. If the crack/uneven pavement existed for a long period of time, you should be able to successfully argue that the owner should have done something about it. If you are injured by uneven pavement, you should take pictures of the dangerous condition as soon as possible. It is important that you do this before the owner has a chance to make repairs (which will probably happen soon after you report the fall). If you’ve been hurt by uneven pavement, call Mr. Quackenbush at 954-448-7288. He can help you if you’ve been injured anywhere in Broward County (including Coconut Creek, Cooper City, Coral Springs, Dania Beach, Davie, Deerfield Beach, Hallandale Beach, Hollywood, Lauderdale-by-the-Sea, Lauderdale Lakes, Lauderhill, Lighthouse Point, Margate, Miramar, North Lauderdale, Oakland Park, Parkland, Pembroke Pines, Plantation, Pompano Beach, Southwest Ranches, Sunrise, Tamarac, West Park, Weston and Wilton Manors). Call Mr. Quackenbush to discuss your case for free.